Agile development determines how the project is managed. The system component tree documents the product (system) taking shape – in development; or changing and adapting itself to the changing requirements of the organization – in maintenance. Rapid development in iterations, without compromising on quality and reliability. Not giving up organized initiation or startup. High Level Design – by project decision. Adaptation of the System Component Tree to Agile development principles: making the documentation more superficial, and using Component-Based Documentation, i.e. referring to other/accompanying documentation if necessary, without attempting to document everything in one large document. Flexibility in setting Application Life Cycle, from which are derived the way and level of integration of agile components in the life cycle. Capability to integrate computerized management tools, particularly Atlassian Jira and Confluence. Adaptation of related subjects complementary to the world of Agile: analysis of alternatives, risk management, test management, documentation, control, etc. 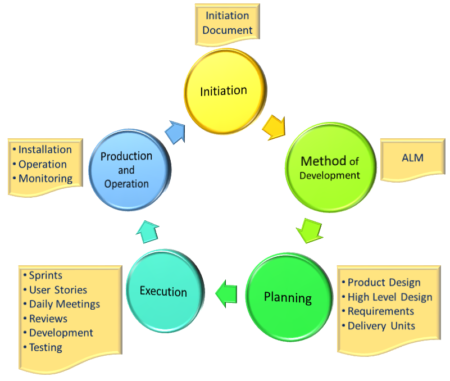 The Agile method or any other development method determines the way the project is managed. The System Component Tree documents the product (system) taking shape – in development, or changing and adapting itself to the changing requirements of the organization – in maintenance. MethodA subscribers receive the complete Agile MethodA Kit, including a form of a System Component Tree ready for work, a guide, and a workshop of your choice. These aids are available for use with Atlassian tools such as Confluence and Jira which are available to MethodA subscribers under special conditions.